As I write this I am currently on the way to Madrid (hooray RyanAir actually managed not to cancel at least one of our flights!). This year I have been lucky enough to go on five holidays abroad, four of those being weekends away. On all of them I have only taken a hand luggage size suitcase with me. I have learnt a few tips which I have found useful, so whilst packing for Madrid I decided to take photos as I go. The suitcase which I use is from Antler and I got it at 5 years ago. It has a hard outer casing, and it has been bumped many times as I used to use it a lot coming to and from uni on the trains. If you want a new case, one with 4 wheels can be very handy, and it means you do not have to drag the case everywhere and you can gently push it alongside you. 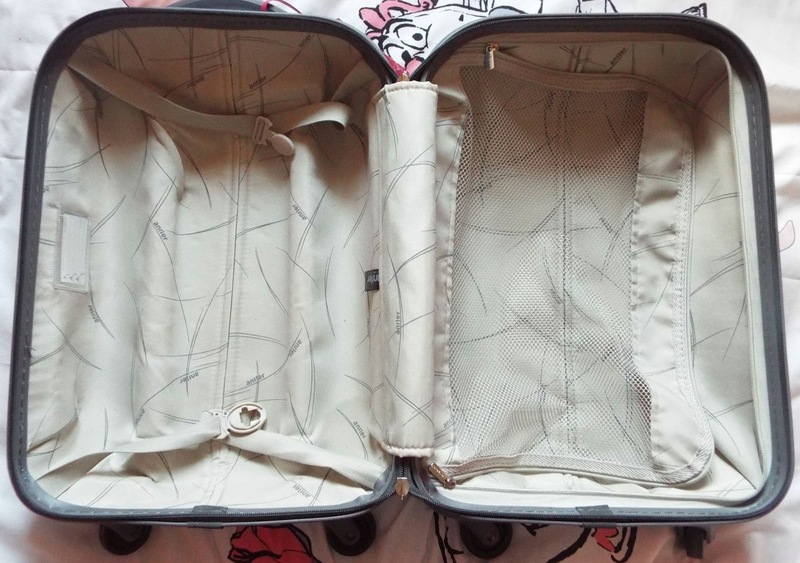 I also love this case as it has 2 clear sections, and I use these to split my case into clothes on the bottom, and the lid side for anything else as it has a zip so things do not slide around. I first and foremost always start with my packing list, I picked these up from Tiger in the summer and they have been a total god send. They literally have everything on for everything occasion. I first up start by crossing out everything which I do not need from the list. 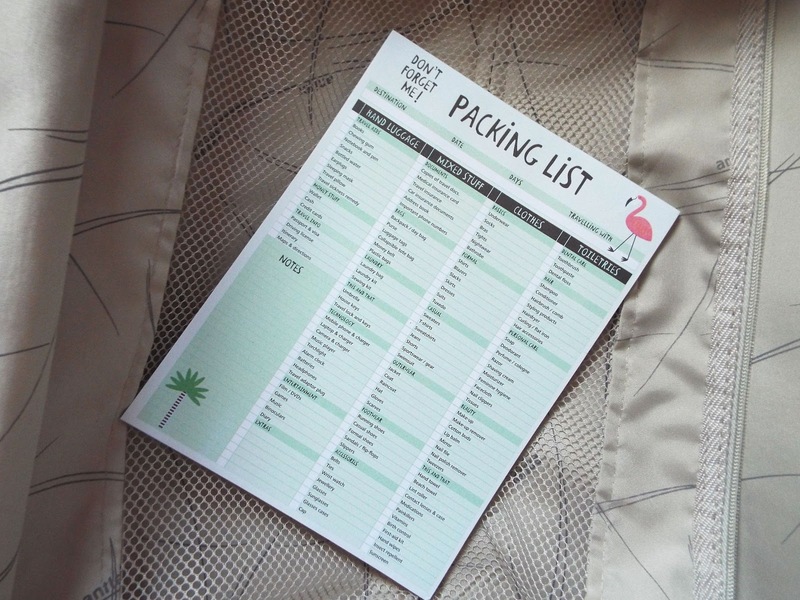 This helps me then cross off one by one once I have packed each item. I always start by setting my outfits into day and nights. Making sure I know exactly what is going with what, and I always pack an extra outfit as you may want choices when you get there. Lay everything out in front of you to check you have outfits for daytime including trips/beach/pool, and then night time both casual and dressy. 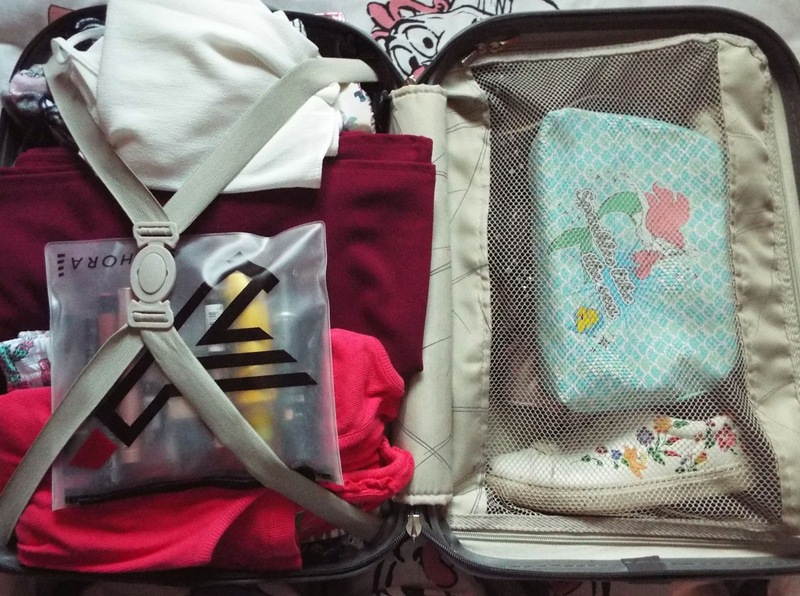 As I mentioned before I always use one side of my case for clothes so everything is together. I then add underwear to the spare places and roll them up to fit into the outer edges to use all possible space. The hardest decision of all for me is always deciding on shoes, this time I placed my shoes on the lid side of my case. I made the mistake when I went to Barcelona of taking some new dolly shoes and they completely creased my feet. Since them it is definitely all about comfort. If you are heading to a city you are likely to be going to be doing lots of walking. I always choose a pair of trainers which I have worn often and I know will be great for seeing the sites. Then if you are going somewhere where it is sunny take a pair of nice versatile sandals. Choose a colour like black, white, or brown, something which is going to match all your outfits. Then if you know you are going to be going somewhere fancier at the nighttime, this may call for a pair of heeled sandals or heels. If you are going somewhere with a much colder climate, I would pack a pair of good warm and cosy boots. 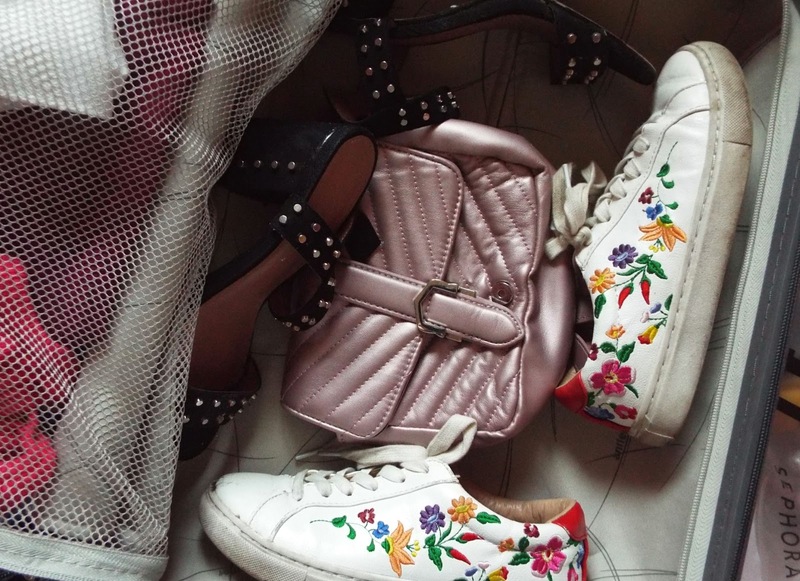 Try and pack a maximum of three pairs for the trip, you are not going to need any more. Makeup and skincare products can be a pain as with hand luggage you can now only take one clear plastic bag for all of your products. You can have as many as you want as long as they contain less than 100ml, but they all have to be able to zip up in one small clear bag. 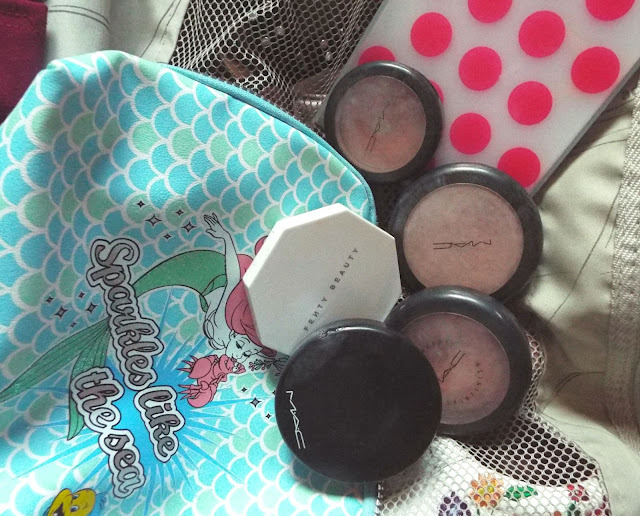 In regards to powders and palettes, as long as there are no cream products they do not need to be in the clear bag and can go in your main suitcase. 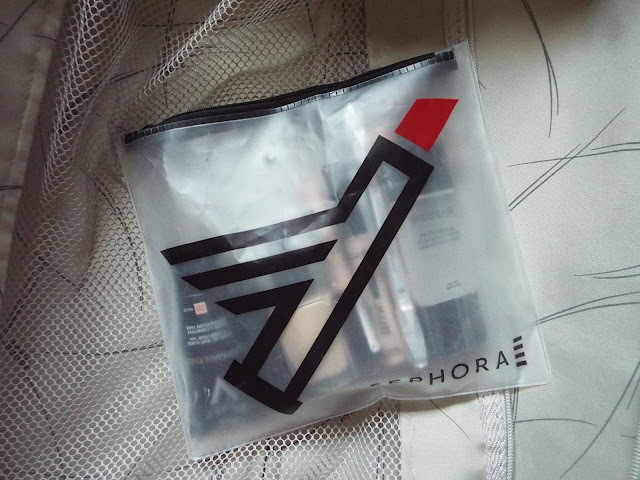 I put all of my other products in another makeup bag in my suitcase, so I know where everything is and put my hairbrush and toothbrush also in this bag. I then put this in the side of the case with my shoes. 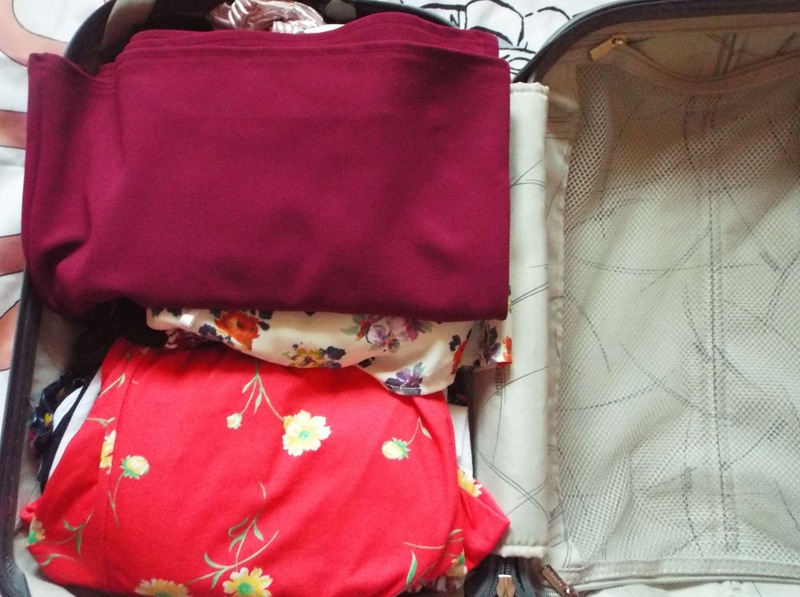 I always remember to leave a bit of room for the clear plastic bag which is going through the scanners separate to your case, once you have go through that can now stay in your suitcase and doesn't need to come out again. When I went to Barcelona in the summer, I had heard someone at work discussing a fabulous idea and I mentioned it to my friends about doing the it for our holiday. Basically with Boots you can do click and collect to the airport terminal of your choice. When making the order you can add anything which you may need for your entire trip. I tell you something it is a god send! 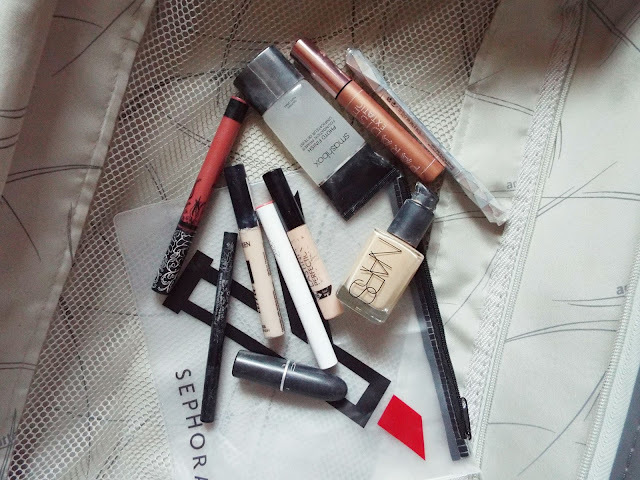 This is a blessing if like me, you don't want to have to leave half of your makeup bag at home. There is no way I would have managed to fit my liquid makeup products, skincare and toiletries all into one small bag this year. Therefore, between us we came up with a list of basic toiletries - shampoo, conditioner, shower gel, razors, deodorant, sun cream and cleanser to share and ordered it to our terminal. It is free click and collect and as you have already gone through security you can basically buy as much as you want. We have done this today when flying to Madrid and it worked just as smoothly as the first time. When I went to Amsterdam in September with my family we didn't do it, and it was such a faf at security as my deodorant rolled out of my plastic bag. I had to then wait in the queue for my entire suitcase to be searched. To be fair mini toiletries are so expensive, and for everything which we ordered it came to £20 between 4 of us. I took a small rucksack alongside my case as most airlines allow this, however there are restrictions to the sizings. In here I kept my passport folder with my passport, travel insurance documents and Euros, so it is all in one place. I also put my camera, iPad and phone in my rucksack, alongside a magazine and book. Everything which is valuable or I am going to need on the plane is what I usually pack in here. I packed in my suitcase a small handbag for day and night time, as I wanted something smaller than my rucksack. I then put other miscellaneous products like chargers, adaptors and a travel size mirror in the zip part of the case. It all fitted in really well and I knew where everything was so I could reach for it easily. I also never fill my case to the brim as I know I am going to want to buy some things whilst on my holidays! 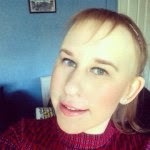 I hope you have found this post hopeful, leave any more tips in the comments.